Found these two movies nothing but dissapointment. Geez… How can they made very standart movies like these? The plot is so standart, the action is so dull. As a fan of Mila Jocovic, Resident Evil 4 is a must movie for me. But then even in the first 30 minutes, my butts were no longer comfy on the chair. So plain, lack of conflict and it is less frightening. The effect shown wasn’t thrilling and some part was out of portion. 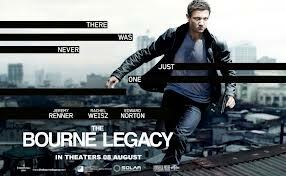 Watched The Bourne Legacy for wifey is a big fan of Jeremmy Renner. The movie was so slow that fell asleep on the first 45 minutes haha. Some of the scenes were taken in Manila, understandable since Philiphine long ago was one of the US Marine Ship based. I saw a glance of Manila in this movie which in my opinion isn’t that far different than Jakarta. Crowded and over population. Well, thank God I finally could enjoy the second 45′. The plot was faster and more action was on it.